Police are appealing for witnesses and dashcam footage following an assault in Whitnash last night (Tuesday December 4). 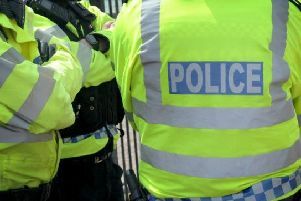 Shortly after 6.30pm, an altercation took place between a group of at least four people outside a house on Whitnash Road. A man in his twenties and man in his forties both sustained injuries which required hospital treatment. Their injuries are not believed to be life-threatening. Three men and a woman have been arrested on suspicion of wounding. They are currently in police custody. Investigating officer, Det Sgt Collette O’Keefe, said: “We appealing to anyone who witnessed the offence or who was driving on Whitnash Road at this time and may have any dashcam footage, to please get in touch. Alternatively, information can be given anonymously Crimestoppers on 0800 555 111 or via their website.